Check out these bizarre coincidences. 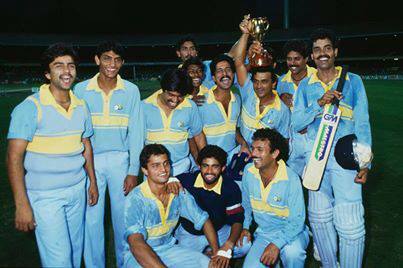 1) India win the World Cup. 2) Next year, India lose 2-1 to England at home. England are led by a 27-year old left-handed batsman. 3) Australia's best batsman retires, and the team performs poorly under the new captain. 4) The following year, India win the biggest ODI tournament outside the World Cup. 5) Australia fail to make the semifinal of the tournament, losing two of their three games. 6) A left-arm spinner whose name is Ravi emerges the top player. 7) The team that India beat in the World Cup final reached the semifinal. These things happened in 1983, 1984 and 1985. History is about to repeat itself in 2011, 2012 and 2013.